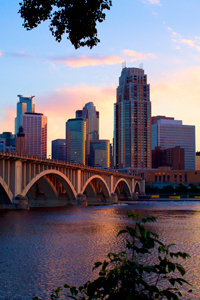 ALLOW OUR BUSINESS ATTORNEYS TO DRAFT YOUR MINNESOTA SHAREHOLDER AGREEMENT. Trepanier MacGillis Battina P.A. can help you draft a shareholder agreement governing the rights and obligations of the shareholders, capital contributions, loans to the business, dissolution or termination of the corporation, and other issues important to the business owners. The agreement can also address the purchase of your company’s stock upon critical events such as the disability, death, resignation, or termination of a shareholder. TMB’s business attorneys are experienced in helping business owners address management, financial, and voting matters among shareholders. Before relationships sour among shareholders, or before experiencing a death or court-ordered conveyance of your company’s shares, take advantage of our initial legal consultation with one of the shareholder agreement attorneys of Trepanier MacGillis Battina P.A. We offer a two (2) hour customized legal consultation for the flat fee of $500. Click here to review the terms and conditions of our Initial Legal Consultation Policy. Please call us now or complete the contact form below to learn how we can help you draft your Minnesota shareholder agreement. Let us know the number of shareholders in your company and whether there are any existing shareholder agreements in place. We look forward to the possibility of representing you.